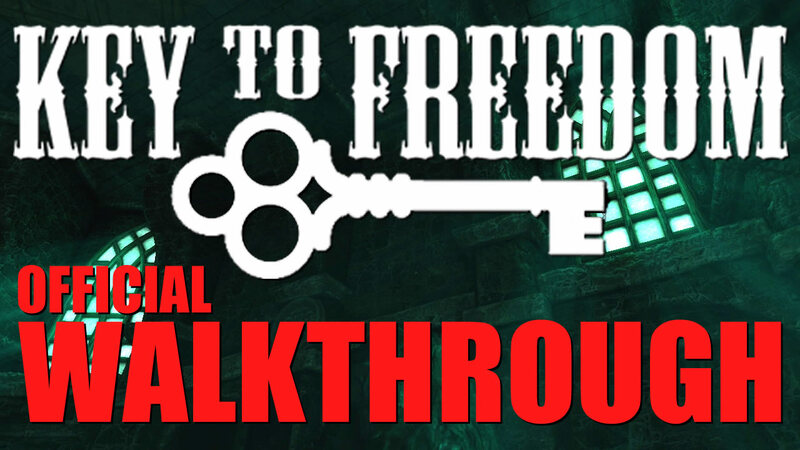 There is now an easy to use walkthrough of Key to Freedom on my YouTube channel. The reason for it being on YouTube is because it uses annotations and description links to help you jump quickly to exactly where you need to go. I have made this video because (even with the many let's plays out there) a lot of people would still get stuck or confused due to some non-linear elements found in the game, this video will help resolve this issue. Also, it's a lot quicker than watching 1 or 2 hours worth of gameplay from another let's play. KEY to FREEDOM (version 1.3) LATEST VERSION! This is the full version of "Key to Freedom" for "Amnesia - The Dark Descent". I feel the need to say that my favorite thing abiut this mod nis how it doesn't try to be too much. Sometimes less is more and this is a prime example of that. The visual ques (like the groundskeeper having protection symbols on his doors, and the lantern subplot with the light changes). Ypu really nailed the scares, too. My top one is the one in the tower woth the goblet and the chair moving back. The sounds and lighting... the mod is near flawless. Anothe rlovely touch was the manor in which you found the head servant's notes, my favorite being the single cangle and chair at the end of a long dining room. You should be very proud. This is very good work. Faultless. Well done, this was a lot of fun. I'd love to know what is behind some of those locked doors... Key to Freedom 2? I started a Let's play of this custom story on my YouTube channel today, and I must say, I am very impressed with this Custom Story so far, when I finish it, I will definitely leave a review. This is the best custom story I ever played on Amnesia, I just barely finish your map when writing this and I thank you so much for your great talent. I make a playthrough on youtube about your Custom story and I'm really happy to have played this map, thank you again for your talent and for the creation of this perfect map. See you soon ! I applaud you for this mod. it was more than enough to keep me from turning the light in my own room off. I got one ending, but im not sure how to get the other endings. (SPOILERS FOR THOSE WHO HAVE NOT PLAYED!!!! READ AT YOUR OWN DISCRETION!!!! )I got the ending where as you exit, the ghost appears and tries to drag you towards him in which he eventually succeeds. i would like to know if there is a way to avoid that. I'm still playing through this but I gotta say, I love it so far! It's creepy at times and very immersive! Whenever I enter a new area i'm always on my nerves because of whatever new event may come next! Also I got caught on purpose by the entity once just to see what would happen, and the "attack" animation gave me literal goosebumps. I think you need that checked out XD. But seriously, thanks for playing my CS. Hope you enjoyed the rest. That has to be one of the best I've ever played. The ghost jumpscares are so ******* creative and good, and the sudden "lights going out" in some areas just send chills down my bones. And the scene at the dinner table when it turns from dark to morning to dark again was AMAZING. I want to see more custom stories from you. This one was perfect. 9.9/10 because it made me almost smash my mouse 3 times. amazing! Absolutely amazing! This story contains one the best level designs in amnesia modding community along with solid atmosphere, carefully placed scares and a few inventive ideas, such as lions with glowing eyes or the mysterious ghostly statue that continually follows the protagonist around the mansion as the story progresses. The mood that is created by the climate of the ancient building is mesmerizing. I strongly recommend this one to the veteran players of Amnesia!